This watercolour by Joseph Mallord William Turner, entitled ‘A Bridge at Lewes’ is believed to have been painted in 1796. It is owned by the Tate Gallery, reference D00858, and is part of the Turner bequest, given to the nation in 1856 following his death. It can be seen by appointment at Tate Britain’s Prints and Drawings Rooms, but was included in the National Trust’s 2013 ‘Turner in Sussex’ exhibition at Petworth, the home of the Earl of Egremont, one of his principal patrons. A long dynasty of Ambrose Galloways were Lewes merchants and Quakers. Ruth Spence, spinster, belonged to the Spence family of Malling House but lived in Bath, and was bequeathed property by Ambrose Galloway’s sister Elizabeth. John Rickman (1715-1789), his son Richard Peters Rickman (1745-1801), his son John Rickman (1774-1859) and his son Richard Peters Rickman (1805-1876) were all leading members of the Lewes Quaker community. In 1817 the second John Rickman sold the Bear Inn and its brewery, and retired to his new-built Wellingham House in Ringmer, where he described himself as an agriculturalist. 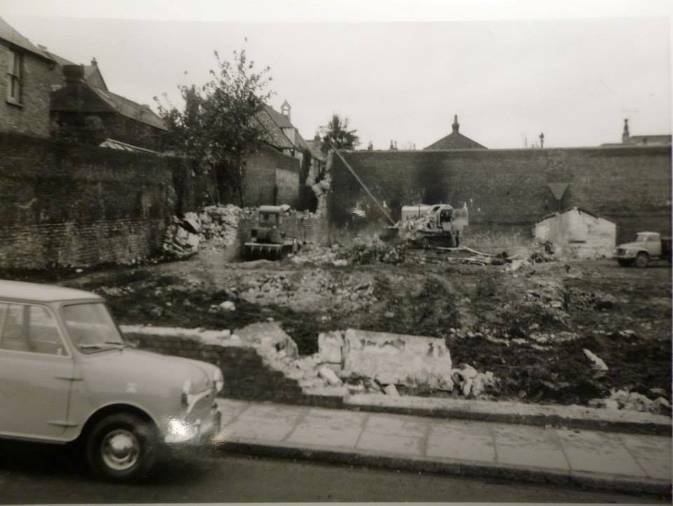 However, many other records show that he was in practice a leading provider of mortgage funding to the people of Lewes and the surrounding district at this time. Thomas Roff Tamplin died in 1827, but the Wood family retained the Bear Brewery until 1856. Pigot’s 1839 directory lists George & Alfred Wood, Bear Brewery, High Street, Cliffe, as one of six Lewes breweries at that date. Thomas Geering in Our Parish (1884) p.119 refers to The George, Hailsham, as having been well managed when owned by the handsome Lewes brewer George Wood. 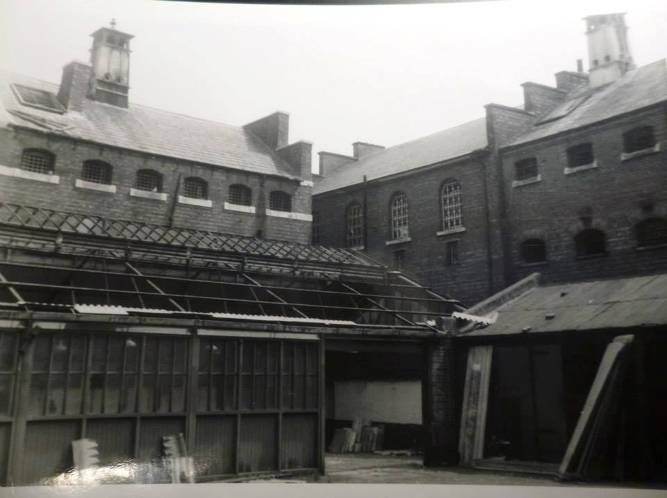 From 1858-1896 the Bear Brewery was owned by Edward Monk and Sons, though Monk, then a seedsman, had a financial interest in the business as early as 1840. 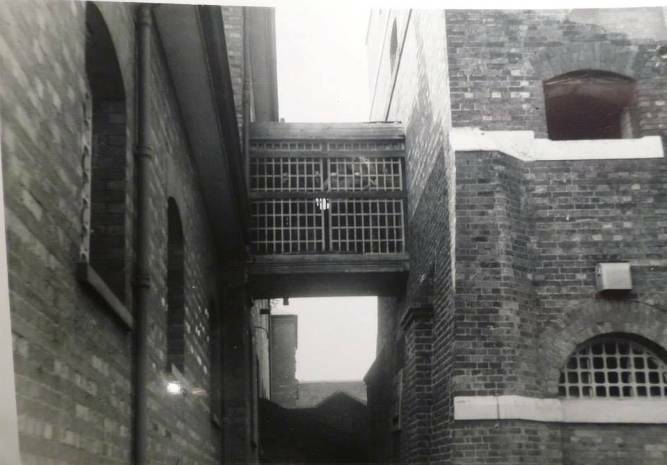 There is a surviving photograph album of the Monk family and their relations, including photographs of the Monk family brewery, Bear Yard, Lewes, in the East Sussex Record Office [ESRO/HIL/5/44/5-6]. 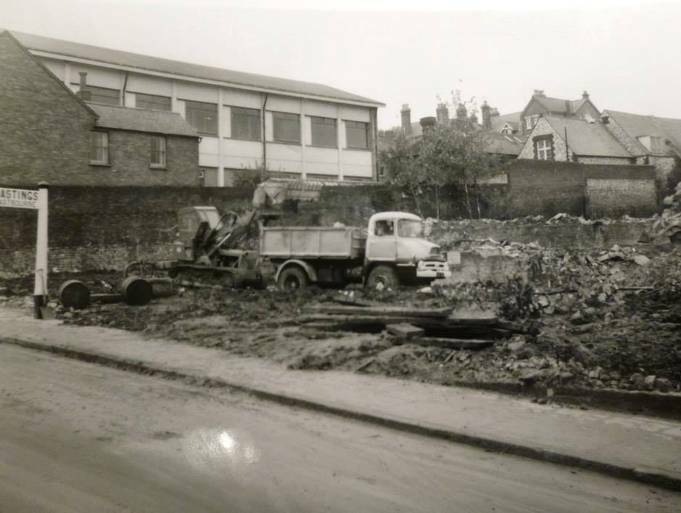 On 1 January 1898 this brewery and its 53 tied public houses were taken over by the Southdown & East Grinstead Brewery. This Edwardian postcard shows an oblique view of the Bear Inn a few years before it burnt down in 1918. The mock-Tudor frontage was presumably a relatively recent addition. 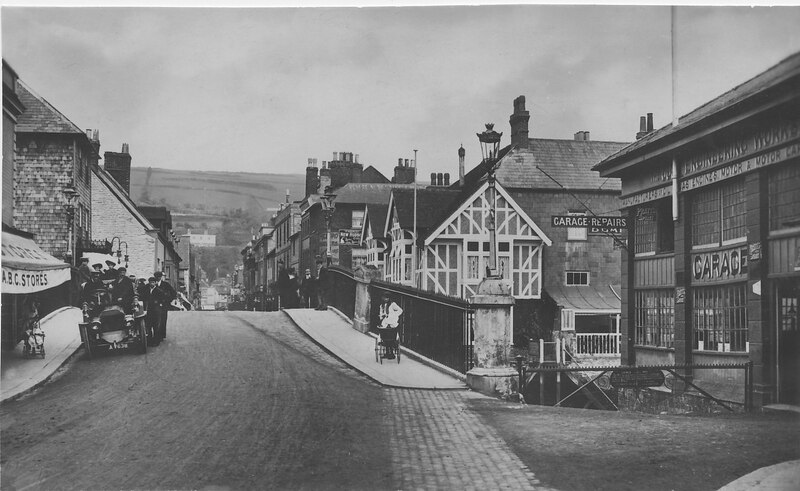 On the Lewes side of the bridge stands Martin’s Garage, now the Riverside Centre. A descendant tells me that this remarkable structure was built as a shoe factory by Chiddingly shoemaker Albion Russell, who moved to the county town. A journeyman shoemaker from Hastings, George Bromley, came to work for him at Lewes, married Russell’s daughter Elizabeth, and took over the management of Albion Russell’s Eastbourne shop, which then traded under the name Russell & Bromley. It was their son, Frederick R. Bromley, who opened shops trading under the Russell & Bromley name across the south east, and eventually in Knightsbridge and Oxford Street. Elizabeth Bromley, nee Russell, lived until 1937, long enough to see the business develop from a single shop owned by her father to a national enterprise. Across the road, parked outside the A.B.C. Stores and perhaps in need of the garage’s services, stands an early motor car, registration plate A 7638, driven by a chauffeur wearing a peaked hat. With the car entirely open to the elements, his hat would surely have blown away had the vehicle travelled at any speed. Several passers-by have paused to be included in the photograph. At the far end of Cliffe High Street, a single house appears on Cuilfail. Wet weather ruined the 1768 harvest, and on 21 September water flowed up and into the coffee house on the Lewes side of Cliffe Bridge. The flooding persisted until 3 December, when there was a flood that flowed into every lower room of the Bear Inn, on the Cliffe side of the bridge, and “almost half way up the iron ring that hangs on the warehouse on the north-east corner of the bridge”. The floodwater was supposed to be as high as had ever been recorded. The 15 January 1772 Sussex Weekly Advertiser reported a very large flood occasioned by a great quantity of rain that had fallen the previous day. Thomas Woollgar is quoted as saying: “I remember that the flood was so high that a boat swam around the Bear Inn adjoining the bridge”. There was more heavy rain in November 1773, when flood water again came up over the ring and staple on the north-east corner of the bridge and up to the tenth brick below the coping stone at the corner of the Bear. These were not the only examples of extreme 18th century weather. There was a great storm causing much local destruction on 8 January 1734; an earthquake on 25 October in the same year; a severe frost, with only occasional thaws and many falls of snow, between 23 December 1739 and 21 April 1740; in January 1776 the river Ouse was iced over; and Serjeant Kempe’s bull and a horse in a Malling blacksmith’s stables were killed by lightning in a thunderstorm on 25 May 1784. 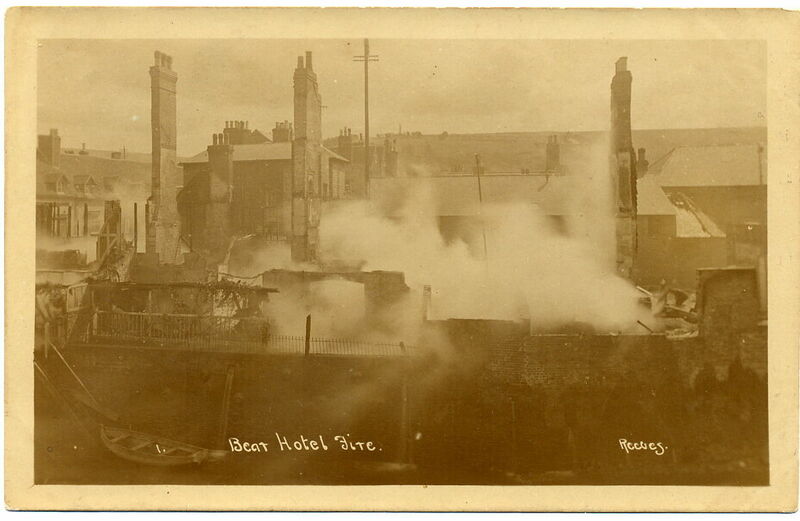 This Reeves postcard showing the aftermath of the 1918 fire at the Bear Inn in the Cliffe, taken from across the river and giving a better impression of the scale of the establishment, was recently offered for sale on ebay. After competitive bidding, it sold for over £40. 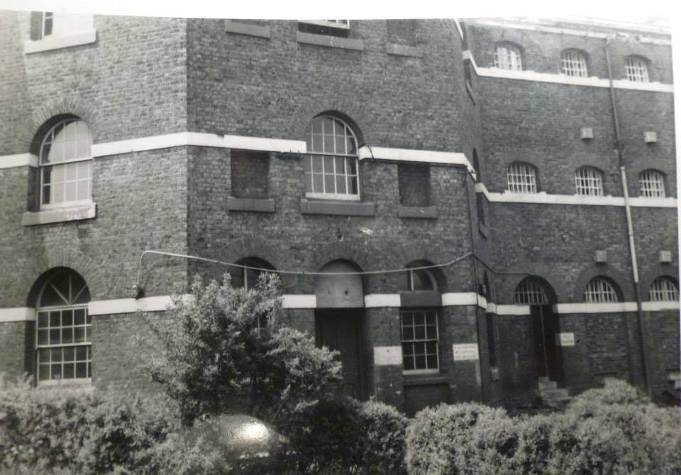 The old prison on North Street was opened in 1793, enlarged in 1817 and closed in 1853 [Bulletin no.5]. 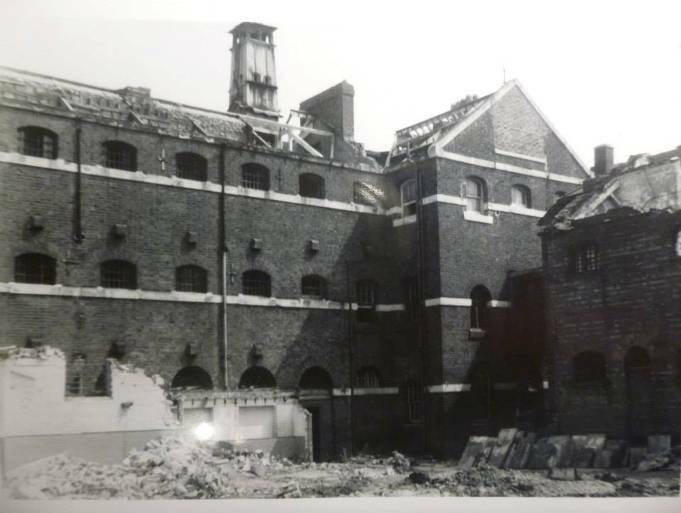 It was then used to house prisoners of war from the Crimea, and latterly as a Royal Navy prison, before being demolished in 1960, in advance of the planned ‘Inner Relief Road’. These pictures were all taken in the year it was demolished. 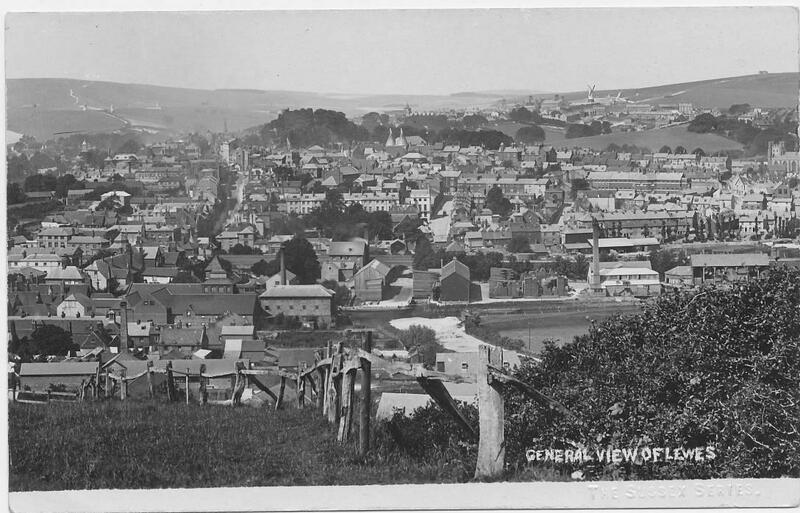 This remarkably clear view, from a postcard of F. Douglas Miller’s Sussex Series, is taken from near the Martyrs’ Memorial. The exceptional view over the town includes four windmills, Harveys & Beards Breweries, Tabernacle, the 1846 Railway station and the old prison building on North Street. The 24 August 1864 Sussex Advertiser recorded that an earthquake had been felt in Lewes, and also in Glynde, Chalvington, Ringmer, Newhaven and throughout the district generally. 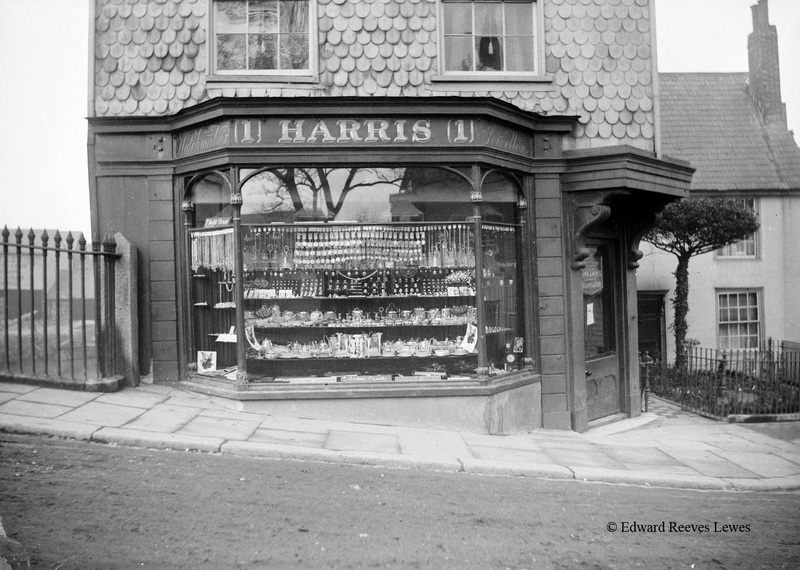 This entry was posted in Art & Architectural History, Economic History, Legal History, Lewes, Local History. Bookmark the permalink.